Description: Calming and soothing for your body, mind and skin. Promotes sleep, relaxation, and stress reduction. Great for everyone, including babies in a more diluted form with additional added grapeseed or olive oil. Its properties may help with mild inflammation, itchy dry skin and mild rashes. Good for fine lines due to its skin cell regeneration. Great multi-purpose baby skin oil to help smooth, soften and calm skin and a good natural gift for pregnant moms or for baby showers. Packaged in a high quality, beautiful cobalt blue glass bottle to keep the product optimally therapeutic & safe from any residue from plastic bottles. Directions: Use on skin to soften and gently scent and moisturize. 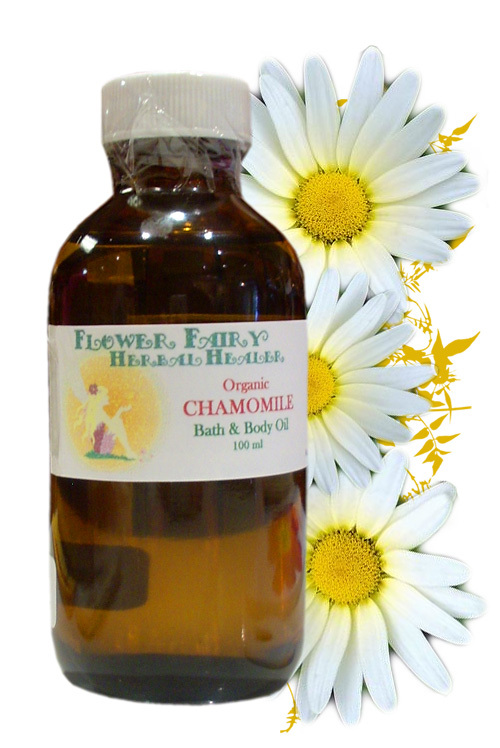 Can be used as a bath & body oil or apply a small amount to damp skin after a shower. Can also be used to spot-treat dry feet & elbows. It is excellent therapeutic massage oil, used by many professional massage therapy clinics.